One of Greece’s most impressive castles, Methoni Castle, was built in the 13th century by the Venetians and became a major commercial and transportation hub in the eastern Mediterranean; the Lion of St Marc can be seen at the castle’s gate. Interior structures dating back to various periods have been well preserved, while standout attractions include a stone bridge featuring 14 arches and an islet on which the eight-sided emblematic Bourtzi tower, once a prison during the Ottoman Occupation, stands. 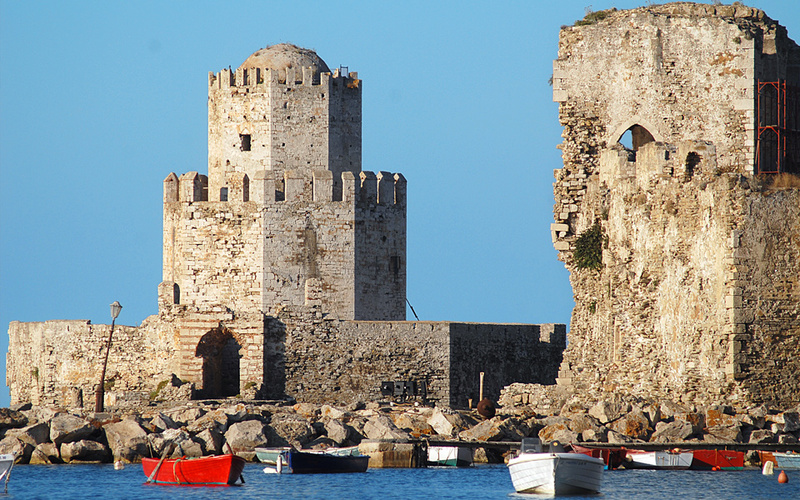 Built in the 13th Century by the Venetians and restructured by the Ottomans in the 16th Century, Koroni Castle, served as a pivotal post for the Venetians in the southeast Mediterranean. These days, the spot, still inhabited, offers a superb view as well as an intriguing walk amid the little houses with flower gardens and the active Aghios Ioannis Prodromos monastery. Koroni remained in the hands of the Ottomans until 1828, when it was liberated by the French General Nicolas Joseph Maison, following the battle of Navarino. Today, as one stands facing the Hill of Myzythras in Laconia, on which Mystras was built, it’s easy to immediately grasps the importance of the place. Crowned with a mighty citadel and walls that descend around its Upper and Lower towns and their many painted churches, Mystras is rightly considered one of Greece’s greatest archaeological sites, worthy of its ranking as a UNESCO World Heritage Monument. Access to the Mystras castle can be gained through either of two gates; most visitors choose to enter through the Lower Gate that leads directly to the Lower Town and afterward to ascend to the Upper Gate by car to visit the Upper Town. Monemvasia, located in Laconia, is Europe’s only castle that has never ceased being inhabited. Monemvasia, located in Laconia, is Europe’s only castle that has never ceased being inhabited. Behind the limestone walls with which it is built, around 15 people are permanent residents, but many more come and go daily. As for year-round visitors, that goes without saying; 90% of them being romance-seeking lovers. Monemvasia, on the edge of the rock, is reached by crossing a bridge, but only by foot; cars are left at the main gateway (Kentriki Pyli), or “moni emvasi”, meaning the only entrance, hence the destination’s name. Monemvasia remained the final Byzantine stronghold to fall under Ottoman control in 1463, and was the first Peloponnesian castle to be liberated in 1821 in the Greek Independence War. Bourtzi castle was built on the islet Aghios Theodoros in 1473 by the Venetians and was linked to the Akronafplia castle by chain, intended to prevent enemy vessels from approaching. 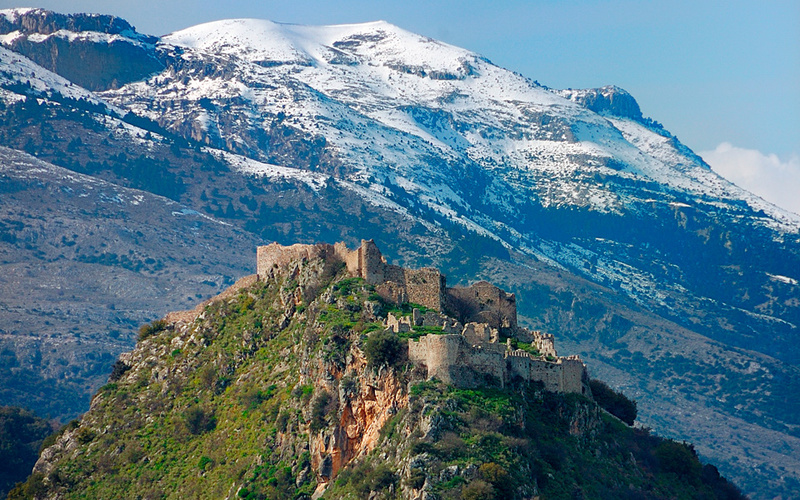 Renowned to have 999 steps that lead to the top of the castle, but, in actual fact, totaling about 853, Palamidi castle stands as a major Nafplio landmark and one of the city’s most impressive sites. It was constructed in 1714 by the Venetians and features impressive fortification design, comprised of eight bastions that operated independently. Even so, it fell to the Ottomans almost instantly following an act of betrayal. 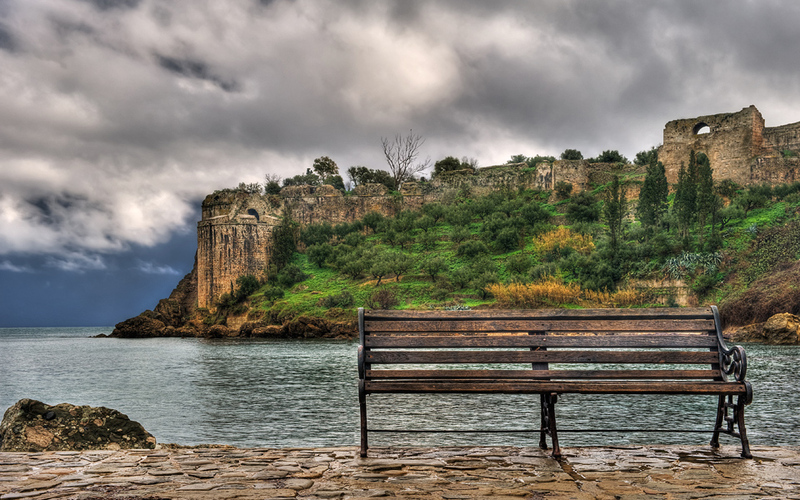 Representing a segment of the extended fortification of the city, Bourtzi castle was built on the islet Agios Theodoros in 1473 by the Venetians and was linked to the Akronafplia castle by chain, intended to prevent enemy vessels from approaching. 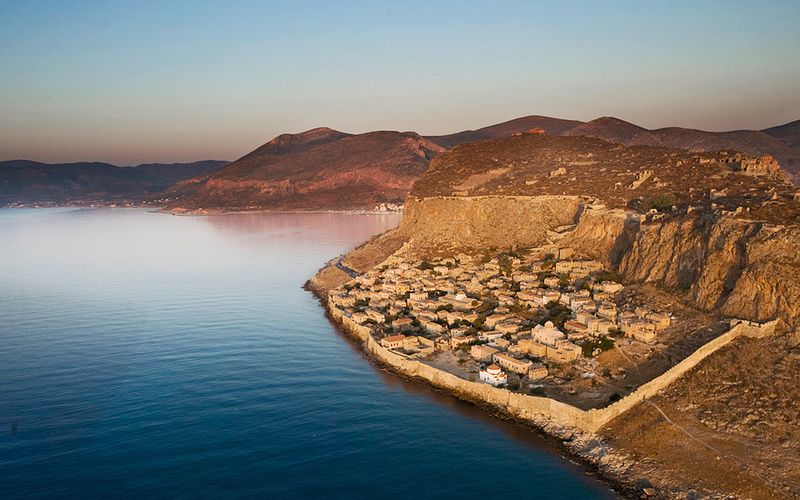 Following the liberation of Greece from the Ottomans, this Nafplio landmark served as a retreat for public executioners before being converted into a luxury hotel. These days, it hosts cultural events and can be visited by boat during the day, while it is especially enchanting when lit up at night. In the charming, mostly 19th century town of Pylos, the only remnant of the Ottoman stranglehold is a gray castle that still looms above the red-roofed houses on the slope and the fish tavernas on the waterfront. 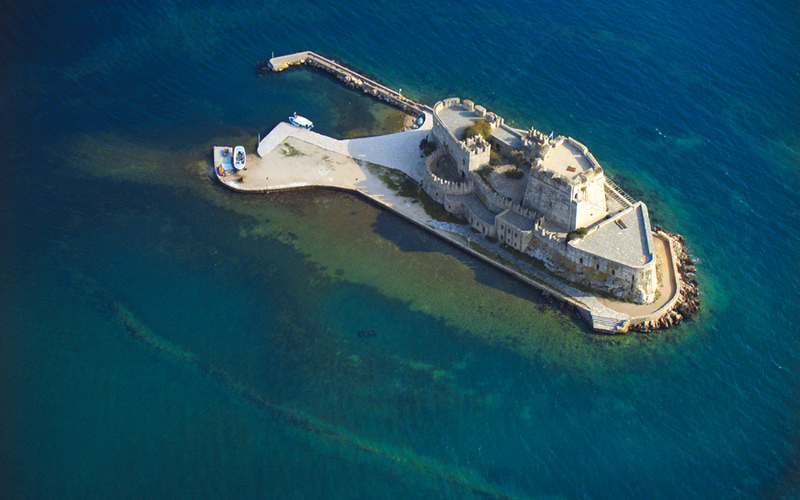 It’s called Niokastro – the “New” Castle – to distinguish it from the ancient foundations of Palaiokastro across the bay. 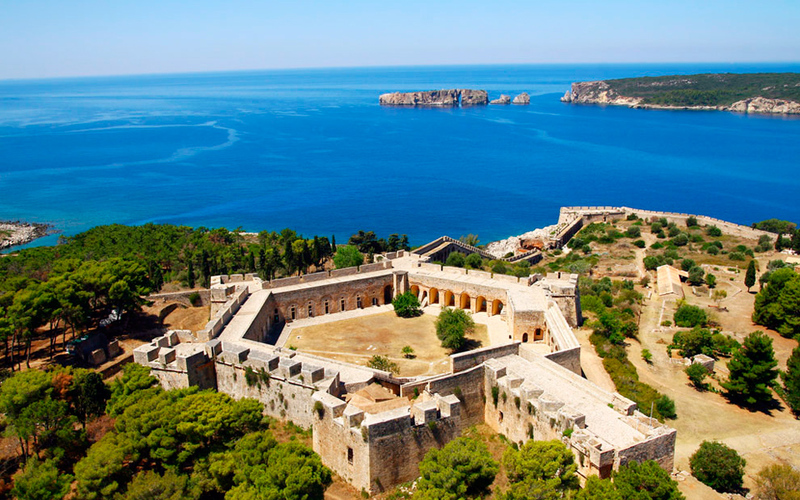 One of the best-preserved fortresses in Greece and home to the only museum dedicated to the Ephorate of Underwater Antiquities, it overlooks Pylos from a hill at the southern end of its impressive natural harbor. The 15th-16th century Mediterranean fortress is typical of its era, with an outer wall surrounding the settlement and the acropolis, the latter of which was contained within a hexagonal fortress, the last line of defense from marauders.